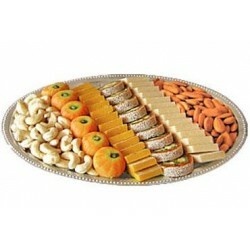 Assorted kaju and mawa sweets of total 2 kg and 500 grm dry fruits in designer thaali. It can be customized as per your need. Just let leave us a note in customers review column on cart page.